﻿ Las Palmas 0-3 Real Madrid. Bale warms up for Turin! 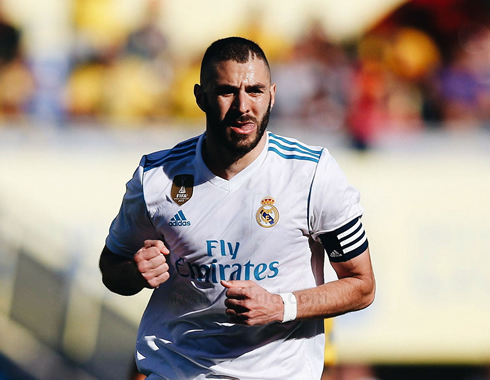 31.03.2018 » Las Palmas 0-3 Real Madrid. Bale warms up for Turin! There were no hiccups in Madrid's visit to Las Palmas this Saturday afternoon and the Merengues brought back home the 3 points following a 3-0 win. With Ronaldo resting for Juventus, Gareth Bale stepped up and scored a brace. 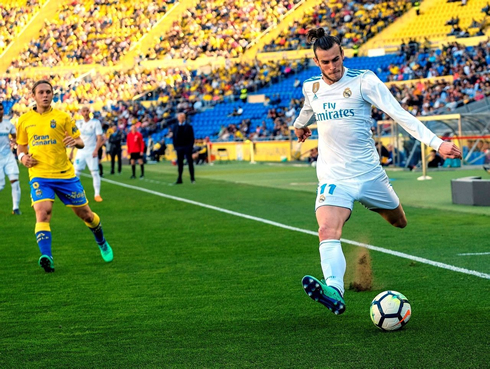 With Tuesday's matchup looming over today's game, Real Madrid were able to put in a comfortable performance against relegation candidates Las Palmas away at the Canary Islands, beating the hosts with in a comfortable 3-0 win. Gareth Bale was the star of the show, scoring two and winning a penalty as Karim Benzema made his 400th appearance for Real Madrid, his first as a captain. The other goal was scored by the Frenchman, who has only 5 goals in La Liga this season. Next Tuesday the challenge will be different in Turin, but the Merengues look ready to take on Juventus. Zidane clearly had one eye on Tuesday's match electing to rest Isco, Marcelo and of course, Cristiano Ronaldo. 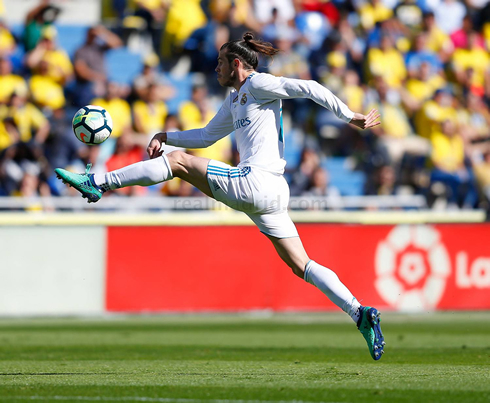 Real Madrid didn't miss them today however, as they were able to get in behind the Las Palmas defense time and time again, in truth if for some better finishing and final passes, it could have been 5 or 6 nil in the end and no one could really be shocked. His first was a trademark goal. A brilliant ball from Modric allowed Bale to run down the left into space, then controlled the ball well and finished past the keeper easily. The next two goals would come from penalties, as Benzema and Bale were able to capitalize on fouls in the box on Lucas Vasquez and Bale himself. 3-0 was a well-deserved result, but there were a few other standouts today, most notable Jesus Vallejo. Real Madrid have to find a way to give the emerging center back more minutes, he is calm, fast and assured at the back and given our defensive woes this season, if he can stay fit he should certainly see a lot more time with La Liga now realistically lost. Real Madrid now sit in 16 points clear of 5th place and the top four of the league honestly seem set at this stage of the season. Provided we go far in the Champions League again, Zidane will have ample opportunity to prepare some of his younger players for next season. Cristiano Ronaldo next game for Real Madrid is on April 3 of 2018 against Juventus. You can watch Juventus live stream, Juventus vs Real Madrid, Atletico Madrid vs Deportivo, Chelsea vs Tottenham, Arsenal vs Stoke City, and Werder Bremen vs Eintracht Frankfurt, all matches provided from our soccer and football game pages.